Sva translates as 'of the self', and sadhana is 'an instrument, or means’… the Sva Sadhana training is an invitation to a journey of radical Self-discovery with the support of a dynamic group along the way. Ayurveda, the science of life, is used to create the level of wellness needed to do our work in the world (dharma). Yoga is the science of self-knowledge, that allows us to see clearly the true nature of ourselves (atman). Using the sister sciences of yoga & Ayurveda, the Sva Sadhana Training delivers tools from these ancient sciences that will shape your modern daily life to bring you greater health, purpose, and clarity. 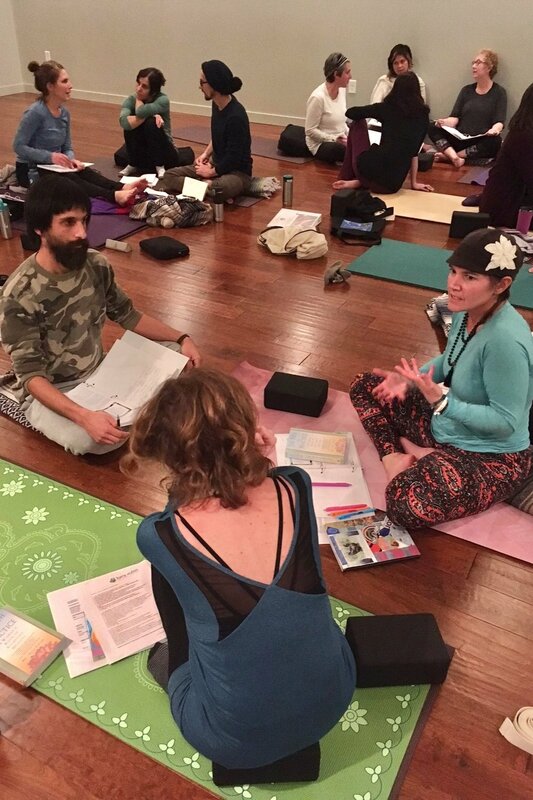 This training is hosted in Kalamazoo, MI by ParaYoga teacher and Ayurvedic Practitioner, Kara Aubin. This nine month program is a training program for students of yoga who want to deepen into self-study and practice. This experience provides the tools for self-exploration, growth, and transformation within the supportive container of a community. 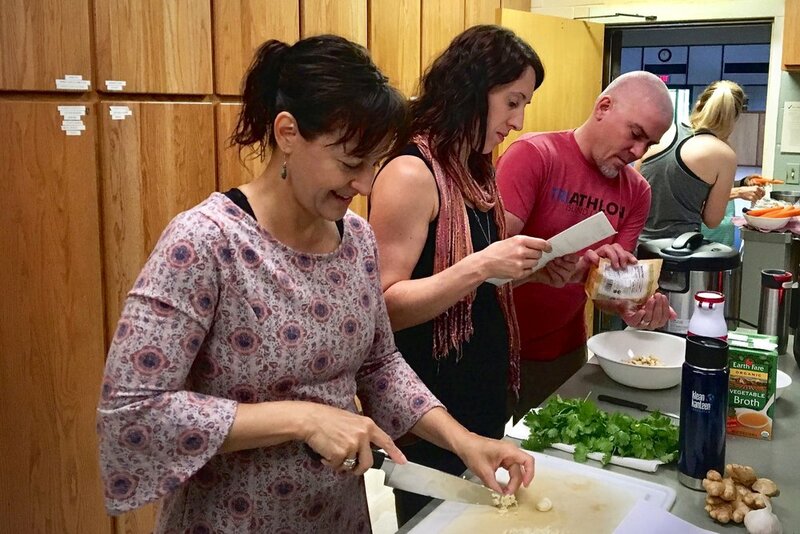 The program is suited for those who have always wanted to expand their understanding of yoga and Ayurveda, practitioners who desire recommitment to their self-practice, and those who seek the experience of a training, but do not desire to teach. * This training also counts towards Continuing Education (CEU) hours for Yoga Alliance registered teachers. In this 108 hour training, focus is given to creating a supportive container for growth and exploration. In addition to weekend immersions; a private session with Kara, a course manual, and digital resources are included in the training. This course will use āsana as just one tool on the path of self-mastery, and will focus on exploring the extensive practices of Ayurveda as well as the subtle aspects of pranayama, meditation, bandha, mudra, and guided relaxation. Sva Sadhana will provide you with tools that you can use at home and off the mat, in your everyday life. The 2018-2019 Sva Sadhana training begins October 2018. We meet for one weekend intensive a month, for nine months. * If training hours are missed, student may make them up in a future training for free, or via private session time with Kara, billable at current rates. Weekend intensives will be hosted by Down Dog Yoga Center in Kalamazoo, MI.